Do you ever wonder where you came from? I mean beyond the stories told to you by relatives. Do you wonder where your ancestors were living 500 years ago? I became very curious after my parents died. I was the youngest of four children. My siblings and I were going through our parent’s house deciding who got what. Instead of arguing over china or crystal I had my eye on something else. 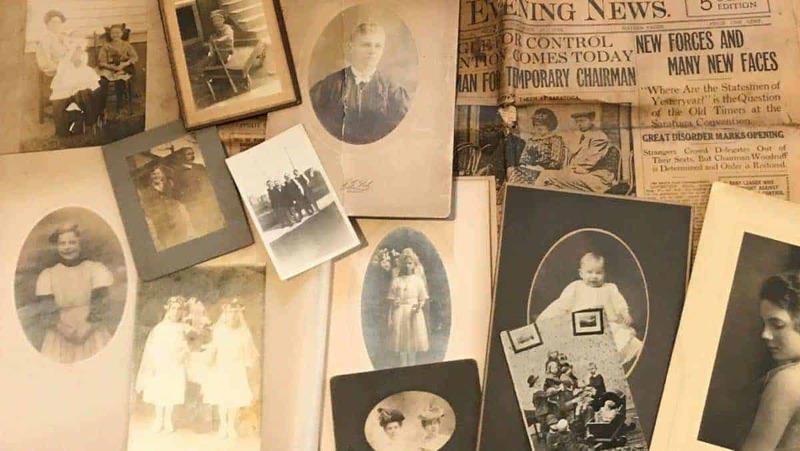 There were a lot of really old photos and a bunch of papers written in German that we found in my parent’s attic. I told my siblings that I would like those. No one else was interested, so they were all mine. Before this house was my parents, it was my grandparent’s home, so some of the papers and photos were very old. I had some of the more interesting of the papers I found in the attic translated from old German to German and then to English. It is difficult to find someone who reads old German. 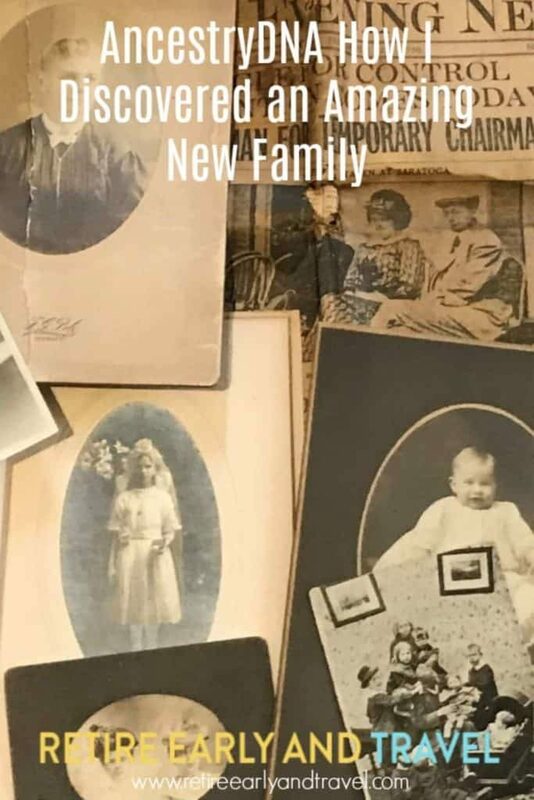 Those papers turned out to be the emigration papers for my mom’s great-grandparents and their children. The papers gave the family permission to emigrate from Prussia (Germany) to North America. After finding these papers, I began a search for more information. In the 1990’s there wasn’t a lot of genealogy information online. 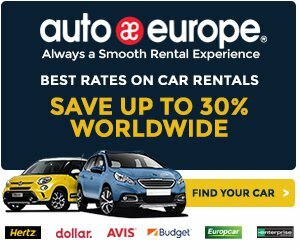 I had to post questions to internet boards (sort of like an online classified) and hope that somewhere in Europe just the right person would see my post and answer. Well, it took a few years, but I finally got a reply from someone who knew of my family. He said that there were people with my mother’s maiden name living in town, and it was the town my family had emigrated from. My contact in this small town talked to my distant relatives. After emailing my contact in Germany back and forth for a couple of years discussing genealogy and my family, we finally decided to visit Germany. My husband, son, daughter and I took this trip in 2006. We were able to meet with long lost cousins in Eastern Germany. 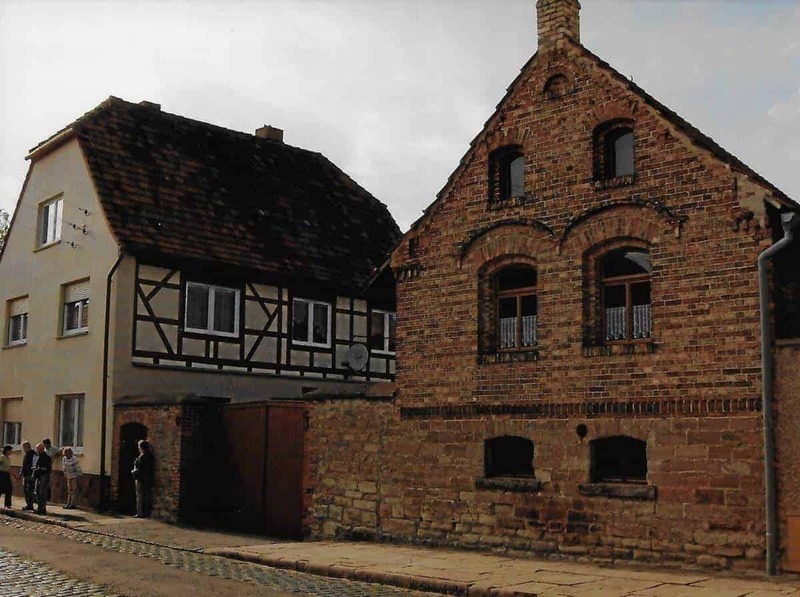 I still had family with my grandfather’s surname living in the same house that my 9th great grandfather bought around 1520. This part of my family was very involved in the church. Most of them were priests and later pastors. 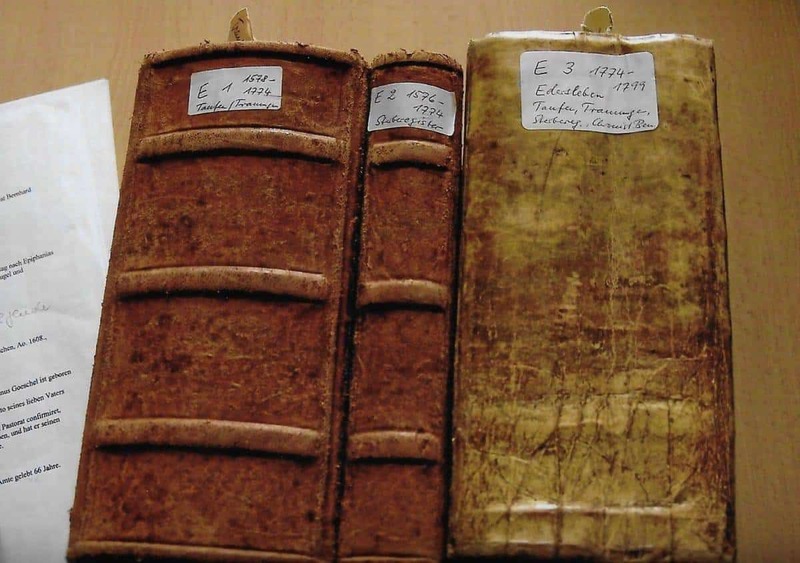 Because the church kept such good records, we were able to find lots of information about them. While we were in Germany we visited the Churches that they were pastors of. We found most of their graves. 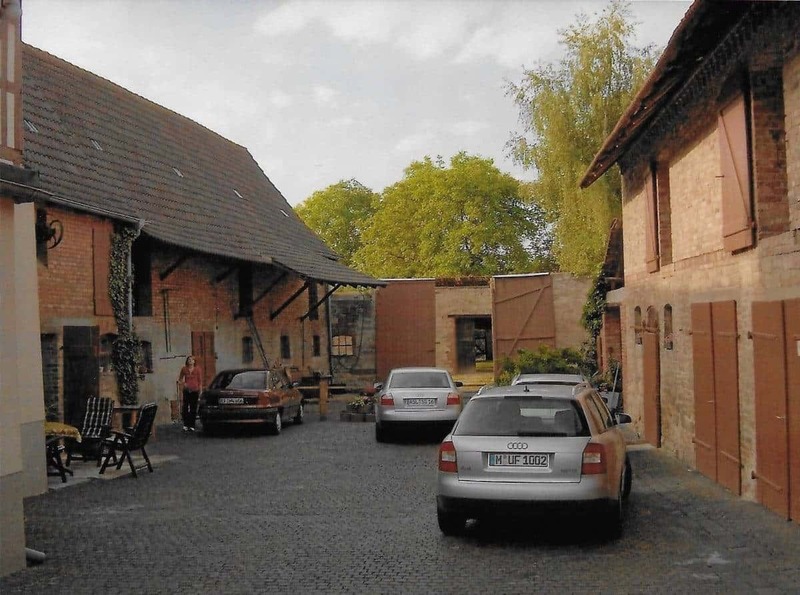 They lived very close to Martin Luther (leader of the Reformation), in a neighboring town, and were followers of his. My great maternal grandmother was from the same area, and we were able to find the house she lived in as a child. 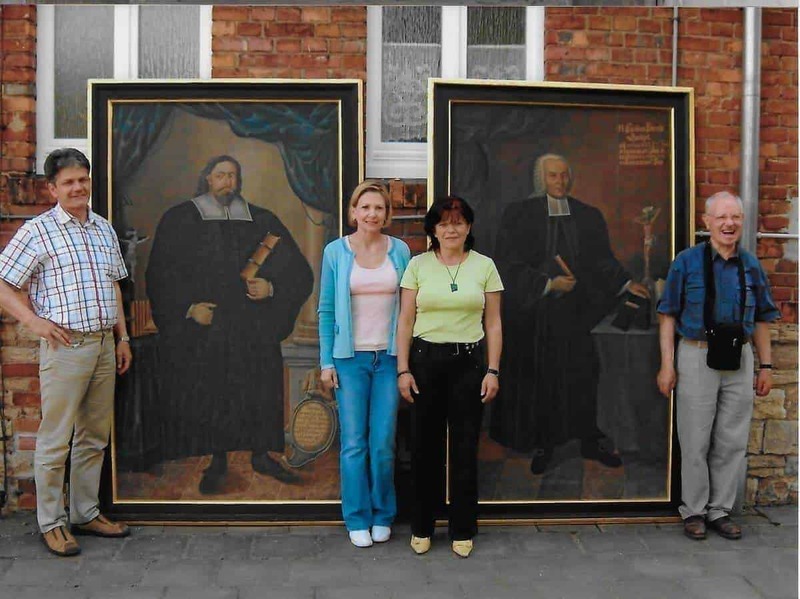 We even found old paintings of my relatives stored away in one of the churches. The trip was amazing. 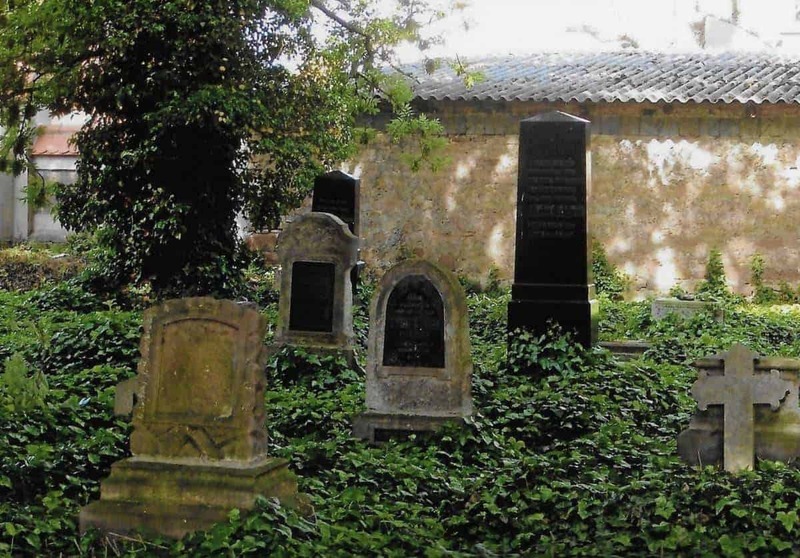 My kids even found visiting cemeteries fascinating because they knew they were related to these German people. My German cousins poising in front of paintings of our distant grandfathers. We tried to find information about my dad’s family, but to this day we have not found anything. My maiden name was Radermacher (which means wheel maker in German). 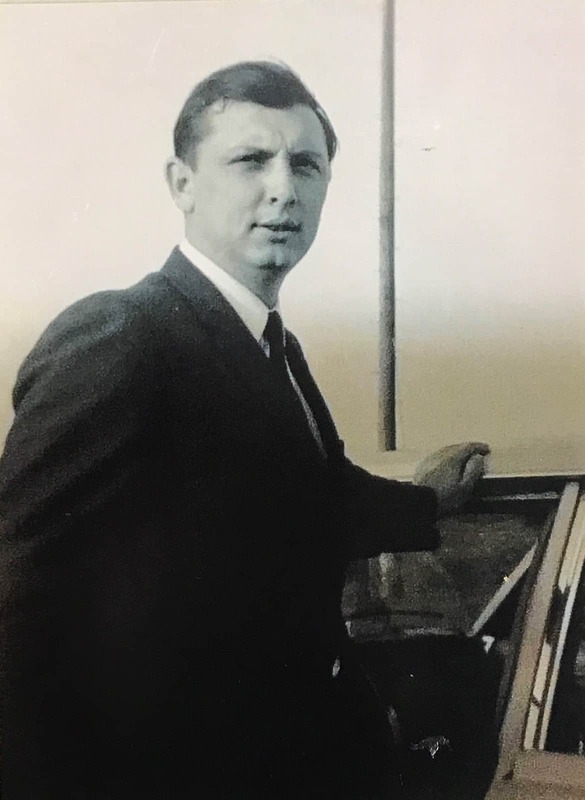 What we knew of my dad’s side of the family was that my grandfather’s family came from Germany and my Grandmother immigrated to the US when she was 13 from Austria. This German/Austrian ancestry is important to know because of what I’m about to tell you. Fast forward to 2014. 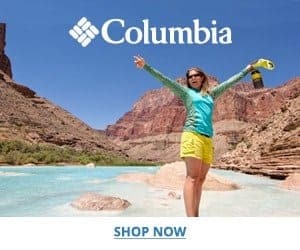 My husband is trying to think of a good Christmas present for me when he sees an ad for an AncestryDNA kit. He thought wow, Tina would love this. It will show her exactly how much of her DNA is what ethnicity. He was right, I loved the DNA idea, and I sent in my sample a few days after Christmas. 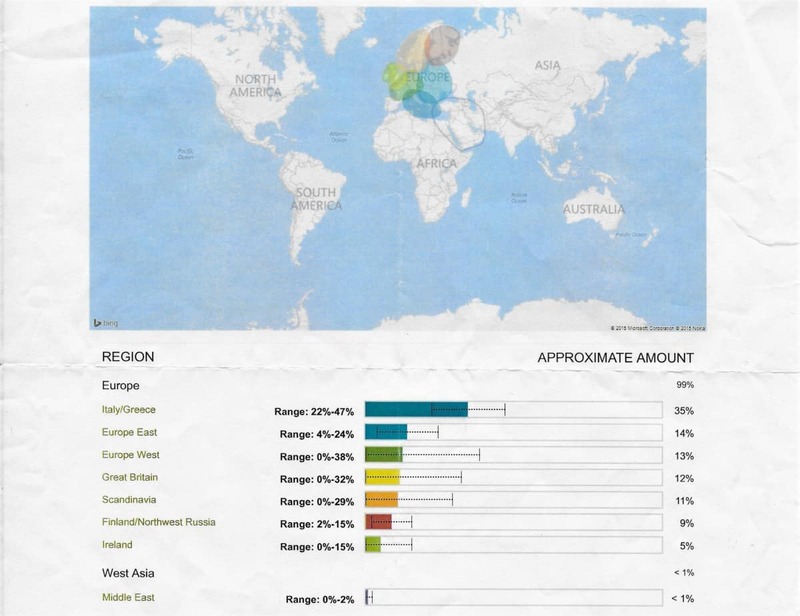 We were expecting my results to show that I am 90% German or Eastern/Western European. It’s now February, and we are sitting on a plane in Los Angeles waiting to depart for a trip to Guatemala. My husband’s phone alerted him that he got an email. He quickly looks at the sender and sees one is from Ancestry. He looked at the email and it was my DNA results. Keith read the email. He said, “this is weird; you are more Greek or Italian than anything else”. Of course, I was puzzled. Before the plane took off, I called my brother. He and I are the only remaining siblings alive out of my parents and four children. I told him my results and asked if we bought a kit right now and had it sent overnight to him would he do the test so we can see he’s the same? He said sure. We sent him the test, he took it, sent it back to AncestryDNA, and then we waited. After about seven weeks, the results were in. My husband and I looked at them together. My brother was 88% Eastern/Western European. He had no Greek or Italian, but more importantly, he did not share enough DNA with me to be my full brother. I was shocked. All kinds of things started going through my mind. My oldest sister was 19 when I was born, so I wondered if I was hers and my mom and dad raised me as their own. My brother swore this was not the case as he was 16 when I was born. He saw my mom pregnant and remembers the day she went to the hospital to have me. At the time a friend of mine’s husband was the head geneticist at UCLA. I asked him to look at our results. He said that we shared one parent but did not share the same two parents. My mom was my mom. That left my dad. No one in my living family knew anything about this, so I had no leads. For the next two-plus years, I searched for who my dad might be, but I was unsuccessful. 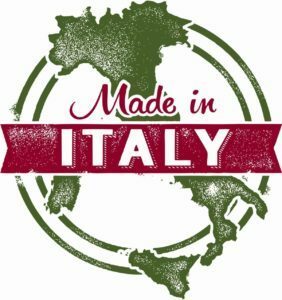 I wrote to the families of my mom’s friends, to find out what nationality they were in search of that one Italian or Greek. All of this lead nowhere! Then last year my husband logged into our Ancestry account and found an email waiting for me. Emails are not unusual. Because we have such a large family tree publically posted, we get contacted by distant relatives when they see we are a match. However, this email was different. It wasn’t a family tree match but rather a DNA match. As soon as I looked at the DNA match, I knew this was big. The person that wrote me was Cheryl. We shared the same amount of DNA on the same number of DNA segments as my brother and me. When you email someone on Ancestry, they do not get your personal information, unless you give it to them. 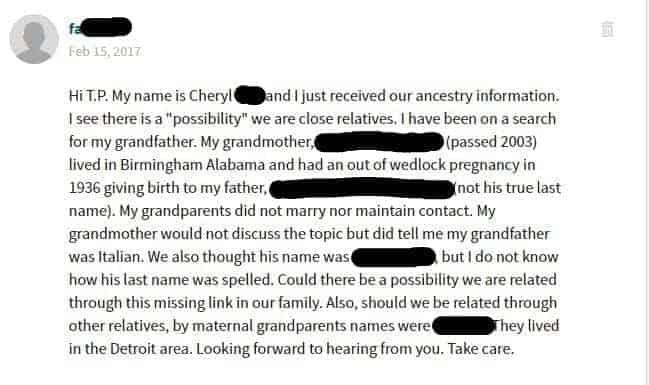 In my first reply to Cheryl, I gave her my email address and hoped she would email me instead of messaging through Ancestry. I didn’t want to scare her and have her stop communicating with me which is why I wanted her email. She did email me back. It took a lot emailing back and forth before I showed her my brother’s DNA results next to hers. At first, she thought we were first cousins. She had done her DNA looking for her grandfather’s family since she never met him and did not know who he was. As soon as she saw the results, she said are you telling me you think we are sisters? Cheryl and I were/are the same age. She also had an older brother and an older sister. She broke the news to them. They were very receptive. 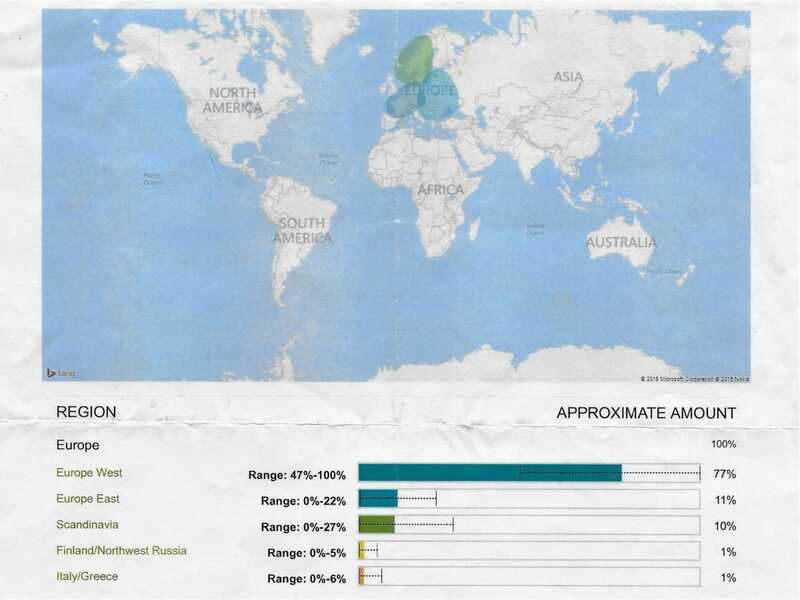 The AncestryDNA test is not a legal paternity test so just to be 100% sure, we decided to submit our DNA to a lab that could show if we all shared the same father. Again, there was waiting, almost two agonizing weeks. When the results came in, they verified the AncestryDNA findings. Our family instantly doubled. 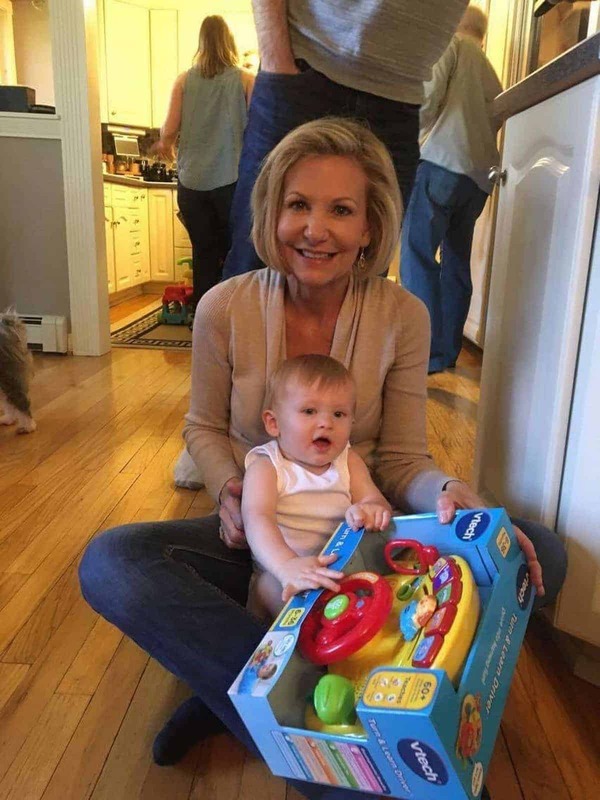 I had two new sisters, one brother, ten nieces, and nephews and a great-nephew. I knew for sure the identity of my biological dad. 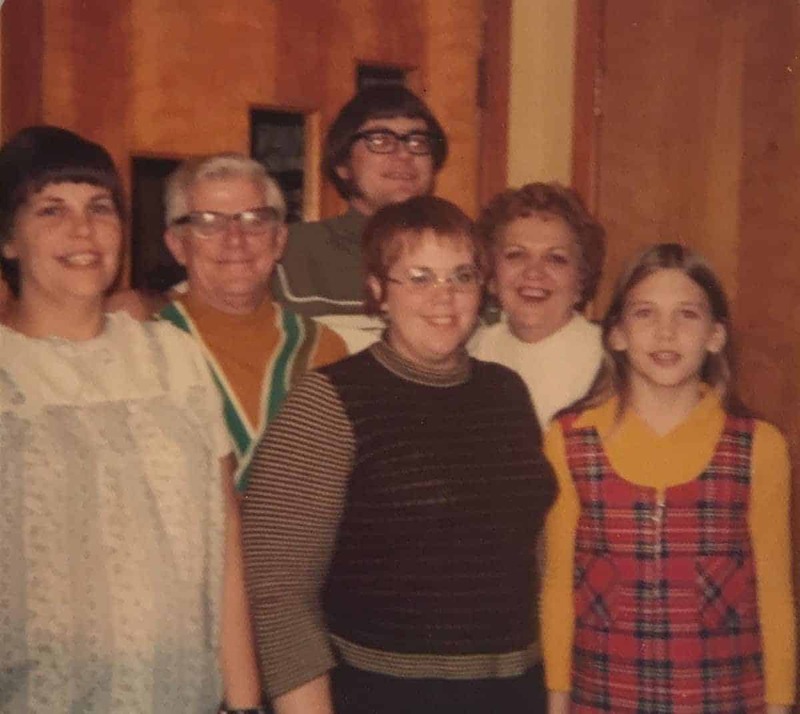 It took a while to put the pieces together on how my mother and biological father knew each other. Their family moved around a lot. But when I was conceived, they lived in the same small town my family lived. Their father was 24, and my mom was 40. My mom owned a restaurant that my new family always thought their grandmother owned. So far, record searching does not show they ever owned or worked at the restaurant. After seeing a picture of my biological father, my brother thinks he knew him but does not remember him working at the restaurant. The oldest two new siblings remember going to this small restaurant often with their dad. My mother’s name was Caroline. My new siblings said there was always a rumor in their family that their dad’s step-brother had got a girl in town named Carol, pregnant but that she was married. We now realize it was a made up story because my biological father was also married when I was conceived. Therefore the step-brother was helping cover up what would have been an extramarital affair. 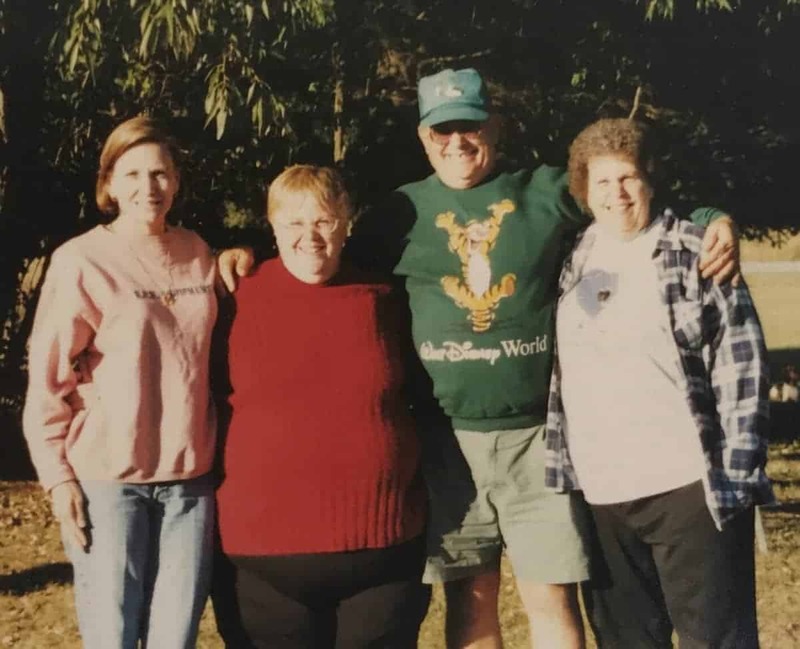 My new siblings lived in several states when they were young, but as the younger two entered high school, the family decided to settle down permanently. They chose a neighboring town to mine. They moved back to Michigan where they would be closer to their mom’s side of the family. My siblings always wondered why they did not go back to my hometown since their parents met and married when living there. We assume that he wanted to make sure the two families did not run into each other. My biological dad died at age 51 of cancer. I would have been 27. My mother died the following year of heart disease. I would have no idea if my mother knew my biological dad had moved back to the area let alone that he was sick. At the time he was struggling with cancer my mom was struggling with emphysema and heart disease. When we found out about my new siblings, my husband and I were scheduled to be in the US for three weeks, visiting four states. One of my new sisters still lives in the area where they grew up. Keith and I would be visiting Keith’s dad and my brother both of whom live within 25 minutes of my new sister. We were scheduled very tight trying to see all of our existing family, but we managed to free an afternoon to meet all my new family in person. On May 2017 I met my new brother and two sisters along with a lot of my nieces and nephews for the first time in person. My new found siblings and their kids have always been very close, so it was easy for them to get the family together in one place on short notice. 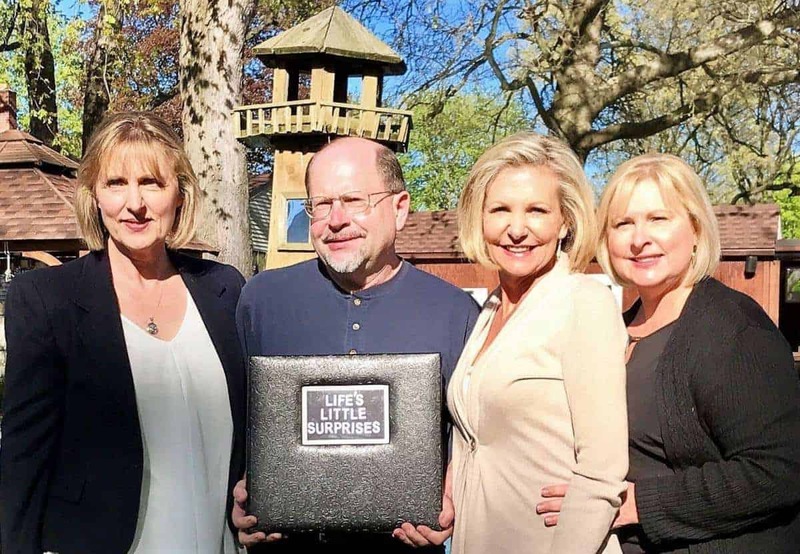 My sister Cheryl had made me a photo album covering the 56 years I had missed out on. 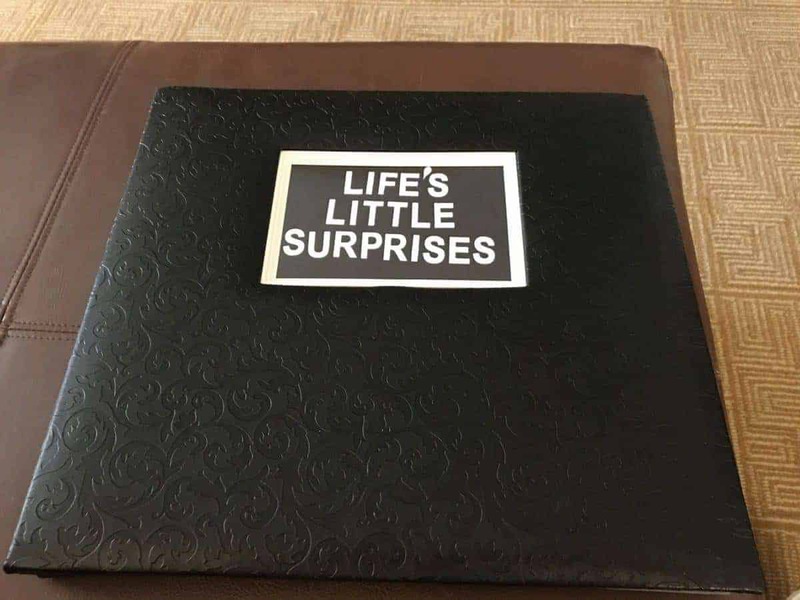 The title is Life’s Little Surprises. 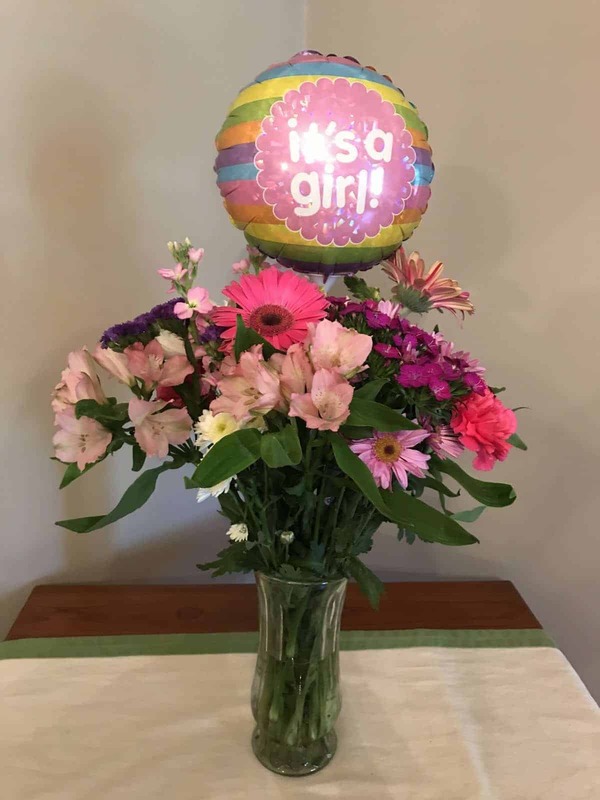 My sister Susan got me a flower arrangement that said, “It’s a girl.” We talked about their childhood, and they told me about my dad. My brother Freeland was worried about what kind of person I would be. In minutes those worries were gone. It was an emotional day and a far too short of a visit. Many of my nieces and nephews reached out to me through Messenger as soon as they got the news from their moms that they had another aunt. It is one thing to find a new family but quite another to find one that is so close to each other. I am so blessed to have found such a wonderful family. Before meeting my siblings in person, I had seen many pictures of them and their families that they sent me. They also sent me numerous pictures of my dad. I did not think I looked like my new siblings until we took this picture in my sister Sue’s backyard. When we went back inside the house to look at the picture I was shocked at the resemblance. I looked more like them then I did in the family I grew up with. 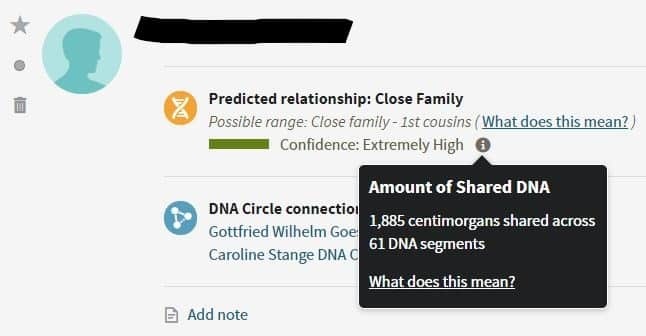 When I called Ancestry to ask questions about Cheryl’s and my results, they said that this happens more than you think. If my dad knew he was not my father, he accepted it and raised me as his own. He always showed me, love. My brother said he always thought I was dad’s favorite. He was there to play with me and to care for me, so he was my dad. Finding my biological dad does not replace my dad or make him any less important. I just know now that I had two dads. Finding out that I have three more siblings is awesome. We all wish we had known each other a lot sooner, but this timing might have been for the best. They do not believe their mother ever knew about me. 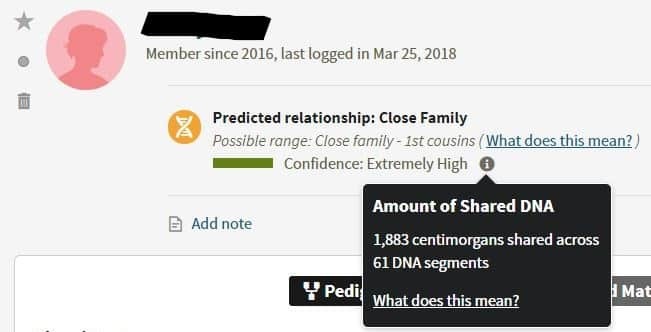 In the two-plus years, it took to find my siblings; AncestryDNA results got more detailed. I now know that I am Italian, specifically from Sicily and Southern Italy. My new siblings and I have two dreams. The first is to find our paternal, fathers’ family. Our father’s mother never married our father’s dad and never told our dad his fathers name, but she did give my sisters a name before she died. That name has not appeared yet on any DNA matches, but we are always watching. 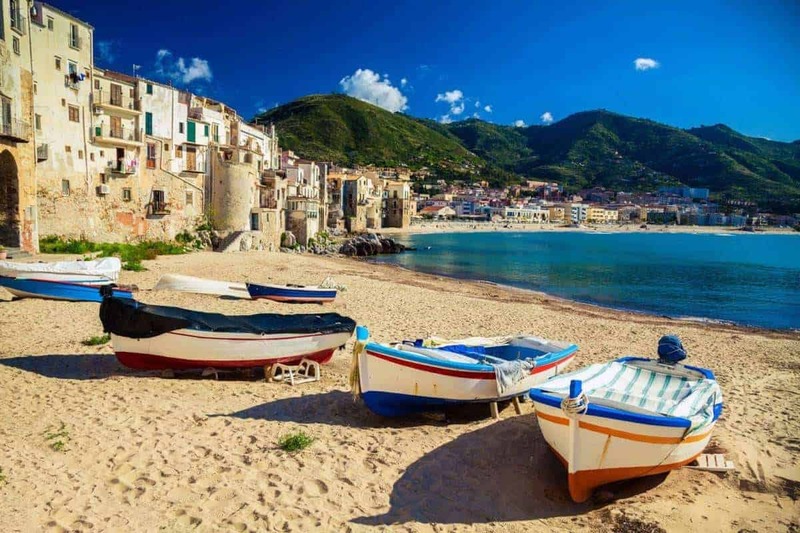 Our second dream is to visit Southern Italy and Sicily together. 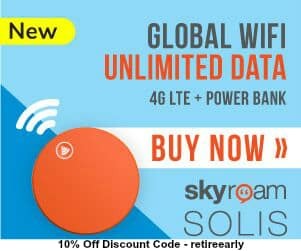 Unique memories that we can make together and will last forever! 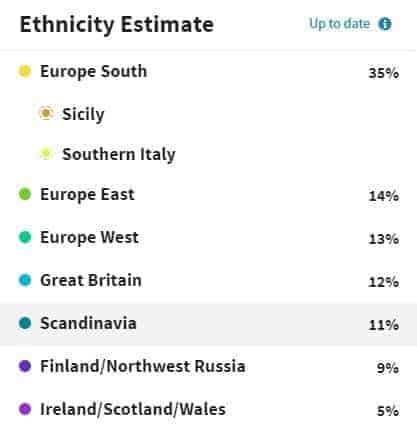 In the beginning, AncestryDNA led me to visit Eastern Germany to explore my roots, then I took an AncestryDNA test and now I want to visit Sicily and Southern Italy. 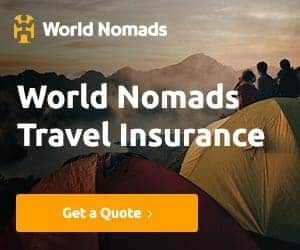 With AncestryDNA able to trace your origins to 350 regions around the world – 5x more regions than other DNA tests – it lets you discover your ethnic origins, and can inspire you to visit the countries of your ancestors for a more meaningful, authentic travel experience. 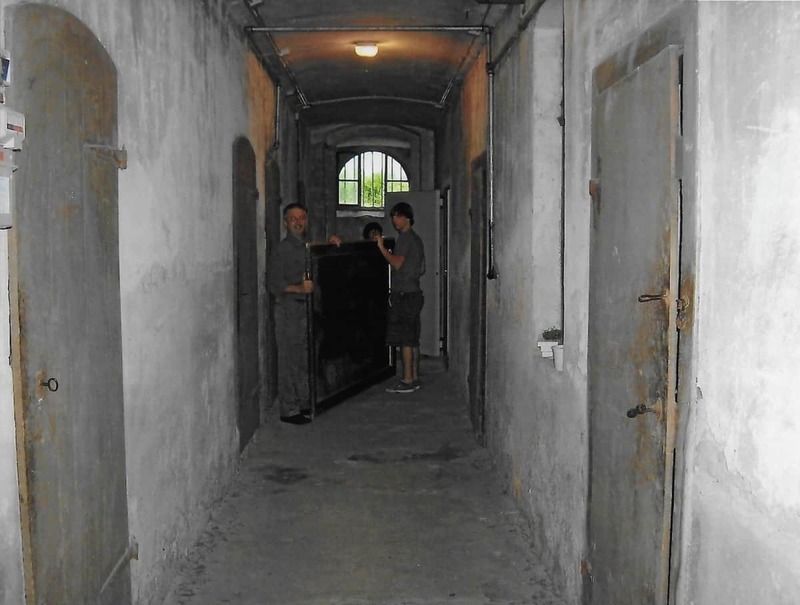 The next trip you take can be more than a destination – it will be to explore your history. Do you have a similar story? 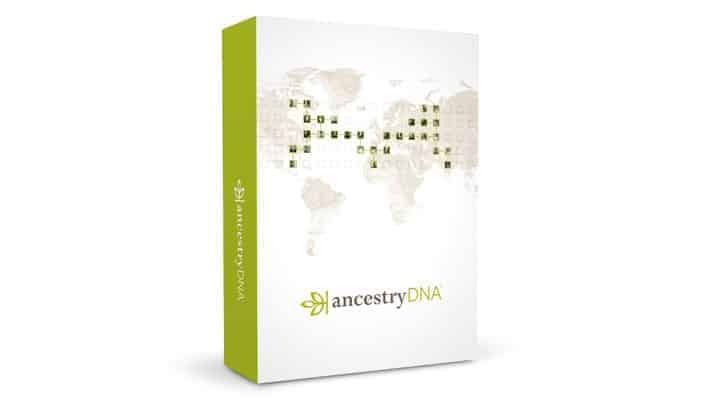 Have you done your AncestryDNA and found out something you were not expecting. I would truly love to hear your story. Please use the comment section below to tell me. 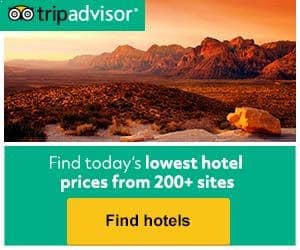 There is a great AncestryDNA promotion you can access by clicking here. Great article. Welcome to the family! Sue, I am blessed to be apart of the family. Love you! What a great life story! Thanks you for sharing! Olive, I am so pleased you liked my story. I feel blessed to have two great families.